Increases in suicide rates are particularly evident among female Veterans and Veterans who do not use VHA services. To address the higher rate of female suicides, the VA has started opening women’s clinics. But the key with female veterans as with all veterans is to get them into a clinic: Six out of the 20 per day are users of the VA health system, and 14 of the 20 are not using the VA. The VA does a pretty good job of preventing suicides when they know about the veteran and their health. This effectiveness raises the question of how do we get veterans to go to the VA.
For many years the benchmark for finding better and more economical health outcomes has been The Dartmouth Institute of Health Policy and Clinical Practice process known as Patient Centered Healthcare. This practice is defined by the active and ongoing partnership between patient and caregiver. The only proven way of accomplishing this engaged-at-all-times relationship is to use intelligent technology for better understanding and accountability before the patient even arrives. The VA would do well to learn from this strategy. Because the challenge is getting veterans in for their initial visits, the solution is not to bring more veterans to the VA, but to bring the VA to the veterans. 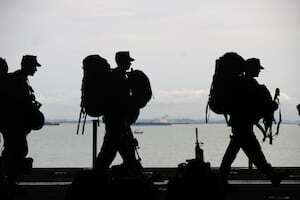 Outreach needs to be constant and proactive from the day soldiers leave the military. Fortunately, there’s a recent project that provides the model all of the VA needs to take. A recent event focused on innovations, hosted by the Department of Commerce (Census Bureau) in collaboration with the VA, showcased a platform called GetVetsHelp. Using state of the art technology and collaboration, they revealed the capability to simultaneously address opioid abuse, homelessness, and suicide in measurable ways. Conservative calculations show the platform reduces the suicide rate by 1 per day in the first year of implementation. GVH is a HIPPA-compliant, secure, web based system that promises to transform how a veteran accesses his or her VA benefits. Through greater outreach and accessibility, it can identify veterans unknown to the VA, by bringing the VA to them on their phone, tablet or any other method they can access the internet. Too many of our veterans are dying. While there’s a long way to go to address this problem completely, preventing roughly one suicide per day and saving 379 lives saved per year is a good start. Jon Peterson is a retired Lieutenant Colonel and is now a leadership coach working with CarePartners Plus. If you want to reach him, please email smerconishwriters@gmail.com.